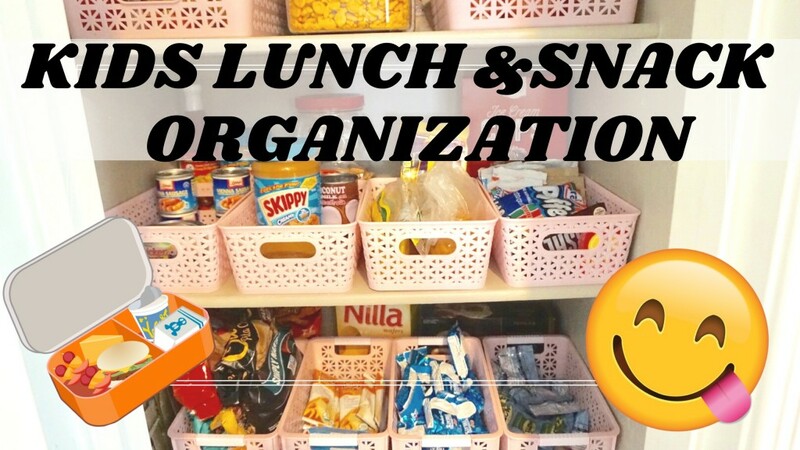 Back to school kids lunch and snack organization for our small pantry and cabinets. Trying a new system this year for my 3 oldest kids to make their own lunches. They are going into 5th, 4th and 2nd grade and I’m giving them a new responsibility to make their own lunches every evening for the next school day. Normally I make them bento lunch style meals and in the past have made it super cute and fun…but now that they are older, I want to transition them to do this for themselves daily or at least when they don’t want to buy lunch. I am hopeful this will work well since they were already doing this for themselves toward the end of the last school year. Stay tuned for what they choose to make for themselves for the first day/week of school and we will share what they actually finish too!